US industrial designer, born in Sault Ste. Marie, MI. Hauser began his career in 1936 with General Motors, then worked for Chrysler from 1941 to 1943. He served as director of design at Sears from 1943 to 1945, worked with Dave Chapman from 1945 to 1946, Barnes & Reinecke from 1946 to 1949, Reinecke Associates from 1949 to 1952, and as executive vice president of Raymond Loewy's Chicago office from 1960 to 1961. 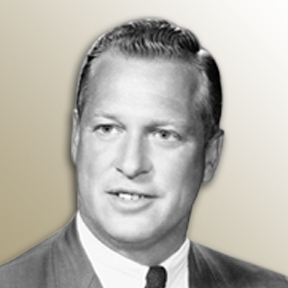 Hauser established his own office, Jon W. Hauser Inc. in 1952. In 1953 he designed Tri-Taper luggage for American Tourister, and in 1955, the Model HH Payloader power shovel for the Frank G. Hough Co., which won a 1956 IDI Annual Design Award. His office closed in 1959, but was reopened in 1960. Hauser was president of the Industrial Designers Institute (IDI) from 1962 to 1963. His office became Hauser Design Inc. in 1970, and was later run by his son, Jon W. Hauser II. After his retirement, he served as a visiting professor of design at the University of Illinois in Champaign-Urbana.